Gonna be watchin' yo-kai with the best of 'em. 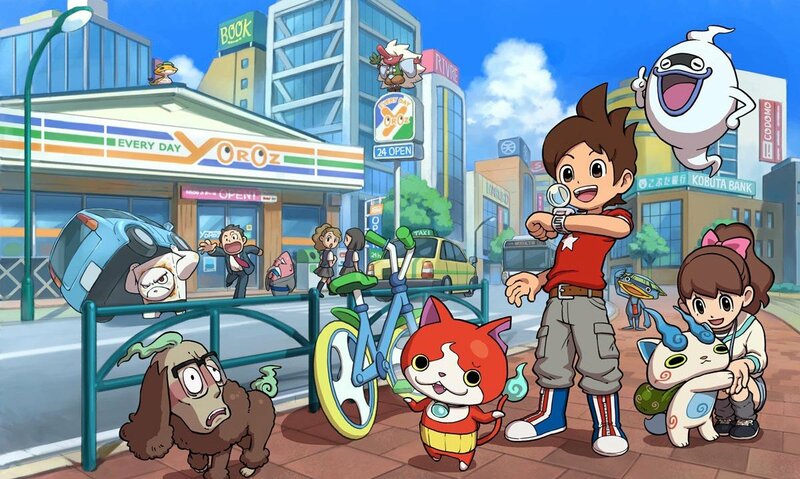 I've had my eye on Yo-kai Watch for quite some time, and now I can finally say there's actually been a release date for the upcoming monster-collecting title! This holiday season you can get a head start on becoming a Yo-kai Watch master as the game releases on November 6, officially announced by Nintendo. Players will be able to collect their own special Yo-kai spirits in the Level-5 RPG, and it'll be launching alongside a cartoon series and special toys for a big Western push. Personally I'm hoping it gets as big as Pokemon, because I'm ready for another craze like that of the '90s, but I'm not sure it's going to have enough steam to do so. Whatever happens, I'll be ready to check the game out when it releases this year, and I'm raring to go!